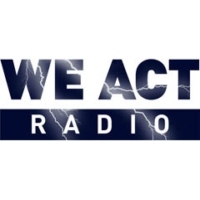 Based in Anacostia, Washington, DC, We Act Radio is a media corporation that combines broadcast and new media to deliver shows in the formats people use most. The station produces original shows and spotlights established talk radio hosts alongside up-and-coming opinion makers. Their diverse programming of talk, cultural, and music shows reflects We Act's diverse character.